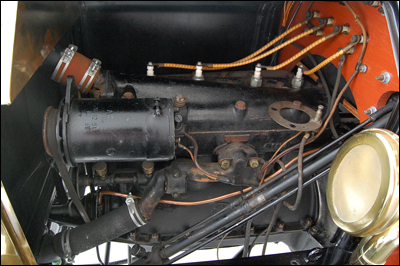 Four cylinder, 22 horsepower, original cost $550. Top speed 45 miles per hour. Gas mileage 15 to 21 MPG. Gasoline costs 12 to 15 cents a gallon. 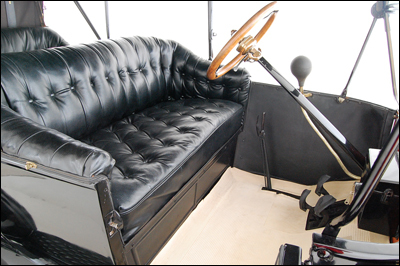 The first “Wide Track.” This Ford was known as the “southern Model T”, with 60” wide axles. The extended axle width was because of wagon rut in the south were wider than those in the north. 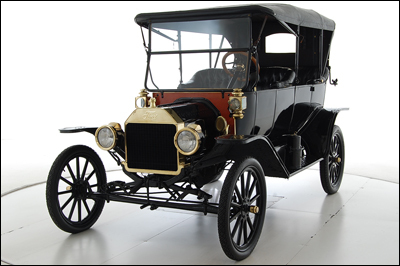 Between 1909 and 1927, Ford build 15,000,000 Model T Cars. Henry Ford’s imitation of mass production methods on a moving assembly line led to lower car prices. It also led to the $5.00 work day. People came from Kentucky and all over the south to work in the Ford Assembly Plant and earn the handsome wage of $5.00 a day! 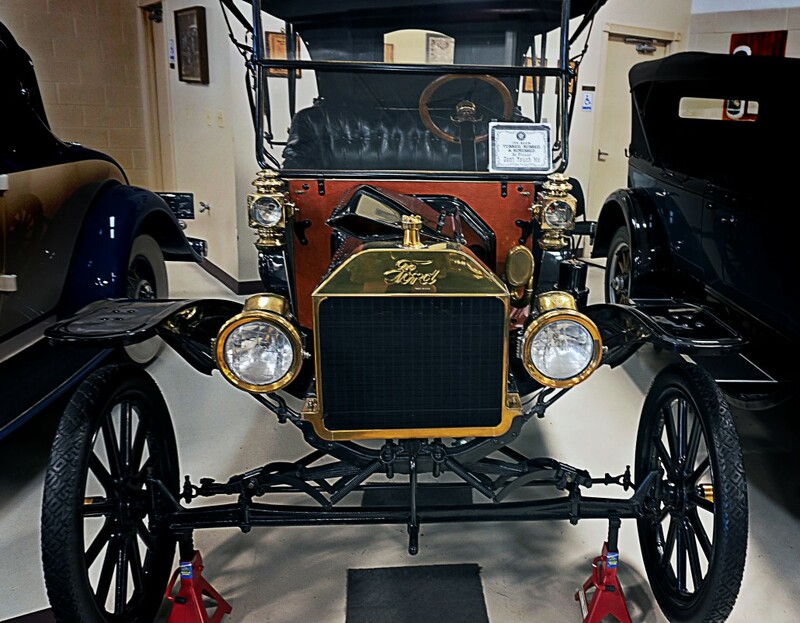 In 1914, Ford with 13,000 employees produced 300,000 cars.